The Cornwall and Isles of Scilly Local Enterprise Partnership (LEP) has appointed two new private sector directors to its board. They are Louise Rowe, who is finance director at South West Water, and John Acornley, an experienced non-executive director. Rowe is a physics graduate from the University of Exeter and trained and qualified as a chartered accountant with KPMG in Plymouth, where she worked for five years before joining South West Water as accounting and reporting manager in 2008. She has been finance director since 2015, responsible for all financial-related activities across South West Water, including a £1 billion capital programme. Acornley has held a number of non-executive and chairman roles across quoted and unquoted companies and public sector organisations. A PwC qualified chartered accountant, his current non-executive director roles include Cornwall Care Services Limited, Cornwall’s largest care provider and Plymouth Science Park Limited. 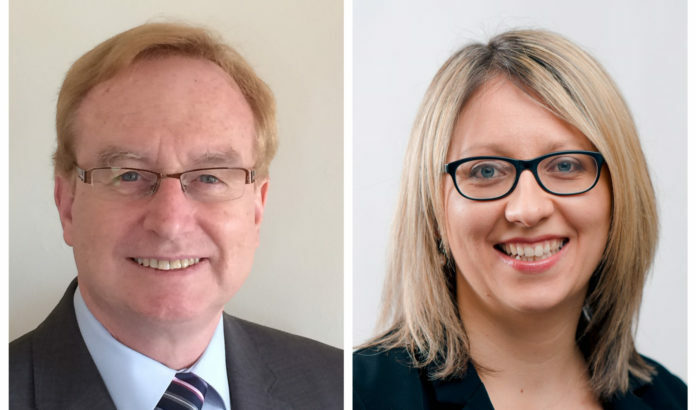 The appointments follow a recruitment drive by the LEP for new non-executive directors with finance and accountancy experience after former board director, Robert Davey of accountancy firm Bishop Fleming, stepped down earlier this year.